Hello, I’m Thomas, and today I’ll tell you a little about me and Villa Giulia, do not worry, I will not be prolix. 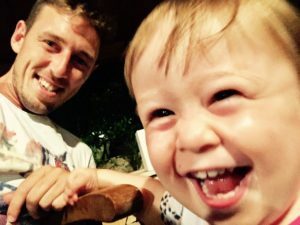 Quite often my guests during their stay ask me so many questions similar to each other about Villa Giulia and on me, so I decided to share them with you. My answer is that the quality of life is better, here I see the sea every day and with the sun and a good weather days definitely start in a different way. But what I leave out is that, I felt inside of me that it was just a pity to have a place like Villa Giulia and live it only a few weeks a year. And many people then ask me “What is the story of Villa Giulia?”, and it always causes me a smile and I always answer with pleasure. Villa Giulia was a house started and never finished, about 10 years ago my father decided to buy this land for his pension and he finished building as you see it today, the merits go mainly to him, I have only “ruined” the programs opening the doors of the house and transforming it into a receptive structure to have guests from all over the world. The annex next to the waterfalls that is now for the rich breakfast room was built by my father because my mother needed a place to play cards with friends and so he decided to do it as far away from the house as possible and from where he sleeps . Strange, but is so much fun. Giulia is the first granddaughter of the family, I could’nt done otherwise. Often friends ask me also in what exactly consist of my job. I answer that I try never to give anything away to my guests and make them feel at home, which means managing everything, starting from reservations, breakfasts, cleaning, laundry and all the works that involves a receptive activity. I think it’s important trying to satisfy their every need. Here they have the opportunity to switch off from the stress of work and relax surrounded by so much green and less than two kilometers from the sea. I never try to treat them as “customers” but as real guests and I try to never sa “no”. Many times they also asked me what is the strong point of Villa Giulia compared to other structures in the area. I say that here you really have the chance to feel isolated from the outside world, a help to surely this garden cared for in every detail. I don’t want to disappoint anyone but this is always true, so let’s say that my goal is to give more visibility to Villa Giulia, I think that if you deserve it. If you come in Sicily for your holidays you need to know that unintentionally you can commit and threaten to spoil everythings. 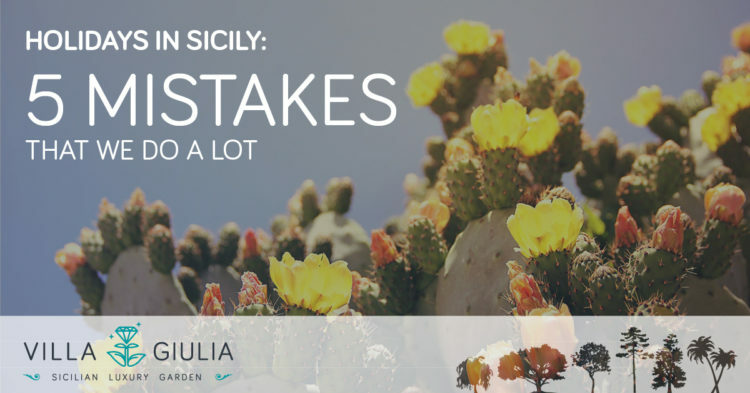 With this smart guide to 5 mistakes that we do a lot during sicilian holildays you can enjoy 100% our beatiful island. Palermo, Taormina, Ragusa Ibla, Siracusa are beautiful cities in the morning, but in the evening becomes really chaotic. That’s why you must choose for your stay quieter location. It’s true that during the summer season you can visit all the beautiful beaches and enjoy a good weather, but Sicily is a sun-kissed isle 365 days a year. Weather is simply perfect also during autumn and winter. Deciding not to rent a car will test your patience. You can take trains or buses, which connect the major cities to one another, but isn’t the same thing as having a car, you only spend more time. One only week is not enought. You just think that with 2 weeks you have to exclude something. In Sicily you will eat well in every bar, bakery to the restaurant. However, we recommend that you to avoid touristy places (you recognize them: they displayed menus with the same picture of the dishes and the same prices). Now that you know the 5 mistakes that you often do when you comes to Sicily, we are sure your holiday will be great. But you know what? It could be perfect if you decide to stay in out Villa surrounded by the garden with a lot of space to so many activities. Also Villa Giulia isin a strategic point to discover Sicily. Reserve a room in our villa. Send us an email to info@villagiuliagarden.com! 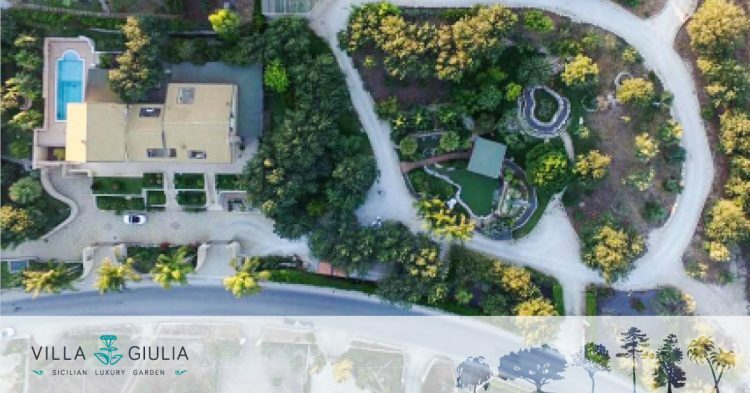 Discover a villa near places of Montalbano and its beaches where open areas are great for relaxing, organic vegetable garden and over 150 rare plants make your a great vacation. And then there’s me (thomas) that will make your holiday even more interesting suggesting places to eat, the ones to go for fun after dinner, places to visit and much more. If you choose my villa you will be just steps away from the local nightlife but also you will enjoy the relaxation that you deserve. There comes a time in life when each of us hence the need to make a different trip. Before I tell you how can you make a dream trip, I want to tell you what happened to me. I bought a lot of books on the subject. I have traveled far and wide in Europe and around the world with friends and family. The point is that it was not enough for me, I wanted a different experience. You still want to know what happened to me? One day I came back in my Sicily, in my villa. I was alone. But then immediately, without any warning, my friends comes. We had a great week between excursions, dinners in local restaurants, days spent at sea in the best beaches of our land. It was also nice to stay at home, we organized barbeques, pool parties, outdoor dining and lots of fun things. And it was there that I realized this: that was the best trip I have ever done. Then I decided to stay here and make a luxurious garden in my villa in Sicily where to make a dream holiday in a dream island. Do you want to do a dream trip? Forget the most noble goals from magazines, luxury hotels, or on the contrary the very small b&b in the center i of the major cities. 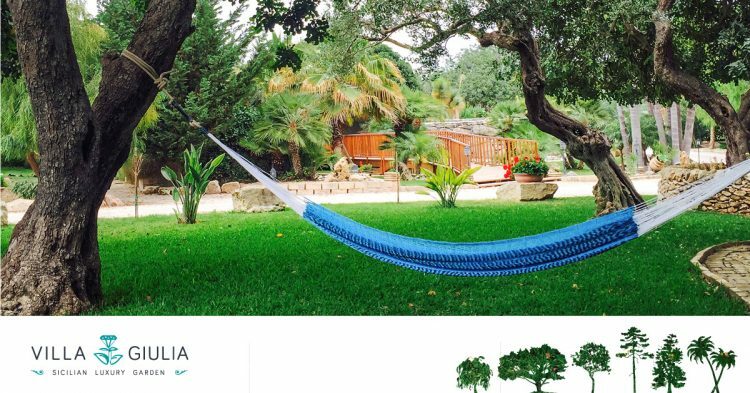 Continues, imagine how you will feel when you finally will be able to stay in contact with nature while visiting Sicily. Imagine your return when you decide to tell to your friends about this incredible experience. Best tips if you will be among 57.41 million visitors this summer!